Sorry for the double post, but I took some shots of 17+ to show that his paint job isn’t always bad (mine is almost perfect) and I ended up taking quite a few photos! So nice to have a Prowl with tight joints again. Can't wait until we get a 'real' drill with a black repaint of Ironhide - and those three-pronged green hand attachments, too. I was watching one of @chockey88's collection videos and he mentioned the long wait for black Ironhide - what the heck is that about! I hope it’s made of plastic and painted. Why they haven’t done a Black Ironhide and a Deepcover for that matter is beyond me. 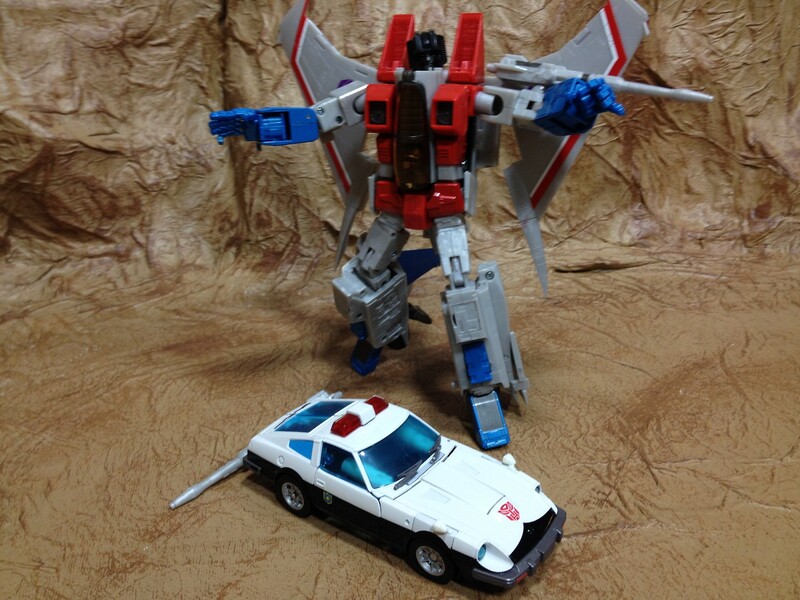 Maybe when they have too wide of a gap in releases will we seemore Diaclone repaints. I’m also wondering why Cordon is MP-42 instead of MP-39C. I can look at Delta Magnus and Primal for that one but I’m just curious. 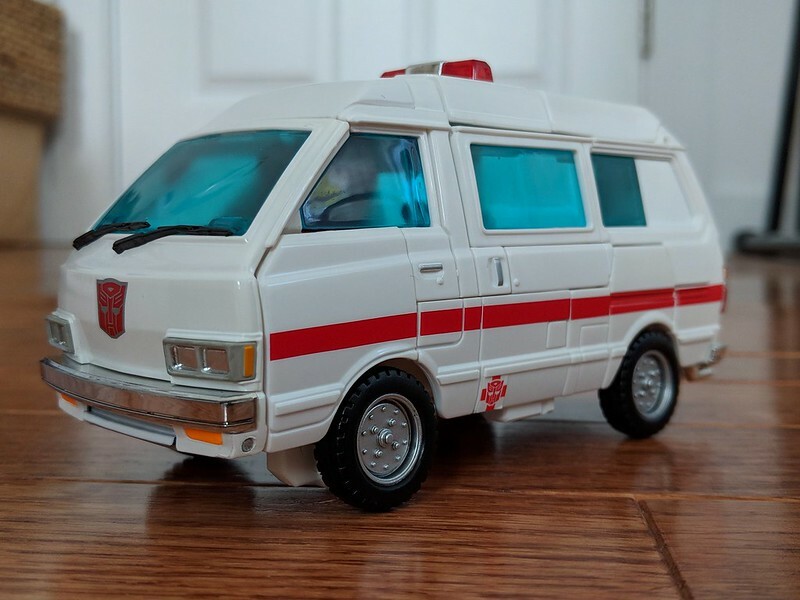 So reprolabels for MP-17 and you swapped the doors from MP-17 onto Mp-17+? Also MP-17 gun with MP-17+? Any thing else you did? 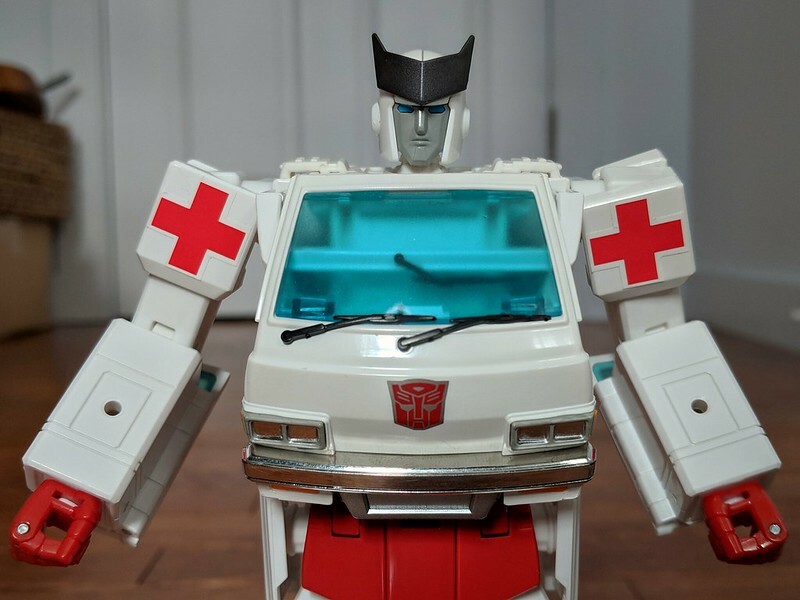 Man Prowl’s been getting a lot of love lately, huh? Maybe he was talking about the long wait for MPM6? 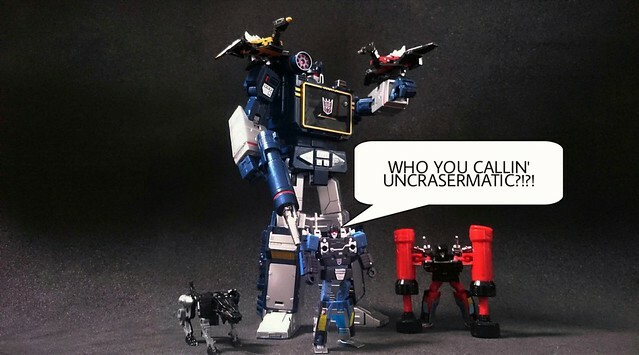 Nah, he's a G1 collector only (not even BW). 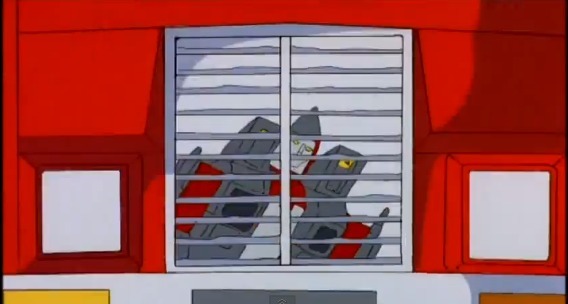 Hurry up and announce a V3 Starscream TT before I buy back an MP-11. Gotta get ready for this scene after all, am I right? First MP purchase since paying for 17+ back in February. What a drought! I'll probably pick up Dirge too, if/when he goes on sale at Kapow again (Thrust is only £79.99 right now). Anyone else taking advantage of the G1 lull to play catch-up? Dirge is the best in terms of quality out of the three Coneheads. Thrust is my favorite but you'll have to do some minor alterations to make him less floppy. I know what you mean. A V3 Starscream and company would be more dough I'd shell out but I'd find some way to justify it. The lull did allow me to buy +Prowl since I already have BW Megatron and +Wheeljack paid off. I'm caught on ever MP except Loudpedal and Toy Primal. I'm not trying to buy those two at the moment. May do Loudpedal next year but only if he hits Road Rage prices. I'm looking at FT and XTB stuff because I need more combiners. Does any one have both primals? How does the toy version compare? Ive found a deal and am sorely tempted, mostly for the battlemask to be honest, im not a beastwars fan at all, but i really like Shadowpanther (with the mask). And am far far more into the repaints and the diaclone/new/unknown Bots being released than the more classic characters right now. I’m a fan of BW. And both paint jobs have superb merit. Being that Shadowpanther is technically a toy paintjob perhaps toy primal might go better with him in my opinion. But again. I think both primals look stellar. Awesome news, @Sam ! Really happy for you as I really think you'll enjoy him. He cuts the coolest silhouette of the jets and his deco is as evil looking as Skywarp's! Can't wait to see your in hand shots, brother! Loud Pedal looks pretty sweet, especially that purple glass against the glossy black. I think you could also have a lot of fun with him in your comics - did you read his bio? He's actually a musician and the Microchange Blaster is his 'portable media playback device'. He even has a backstory with Exhaust. Yeah, I'm well prepared for handling the MP-11 mould, I know of its floppiness, of its looseness, and its difficulty in posing the legs just right, but I still kinda missed it hah. Since I stopped at Ramjet I also look forward to seeing how TT finished off the Coneheads. 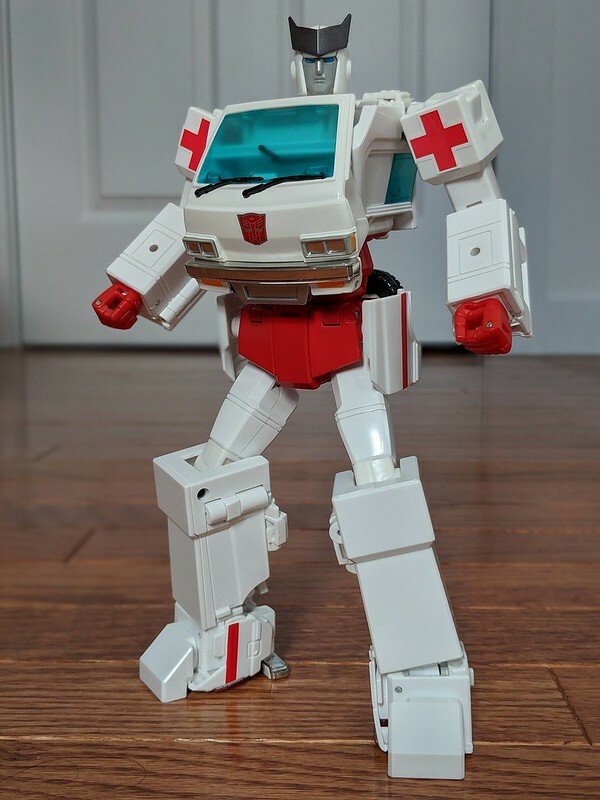 I know a V3 Starscream doesn't automatically guarantee Coneheads, so these guys could very well be the best we ever get. Their faces and the new parts they made (the hips, the shins) to make them more toon accurate are certainly a nice touch. They never had a whole lot of characterisation, it'll just be nice to have some background Decepticon grunts. I don't know if I'd pick up the Insecticons, but I'd definitely love to see Reflector, and it's great to see him get some love in the Siege line. Man, I looove the attitude in these shots! He looks alive and dangerous! I just got the original Prowl with Reprolabels and the missile launchers. May as well add to the love for this figure! I used to have Smokescreen, still a great mold.